Do you like how I titled this post 'wall hangings' and then shot the photos on my lawn? Well, I have my reasons. I'm in the process of moving... if you consider bringing empty boxes home from work and then just looking at them 'in the process'. Anyway, I wanted to share a few of my recent purchases with you. When I was a kid, I always thought that my taste would mature with age. I figured I wouldn't be so attracted to brightly colored, cartoon-style things. Clearly, I was wrong... and that kind of makes me happy. Who wants to be mature anyway, right? I bought the colorful Homco wall hanging from Kitsch Village just a few days ago. I've seen these pieces around and have always wanted one. I just love all of the colors. 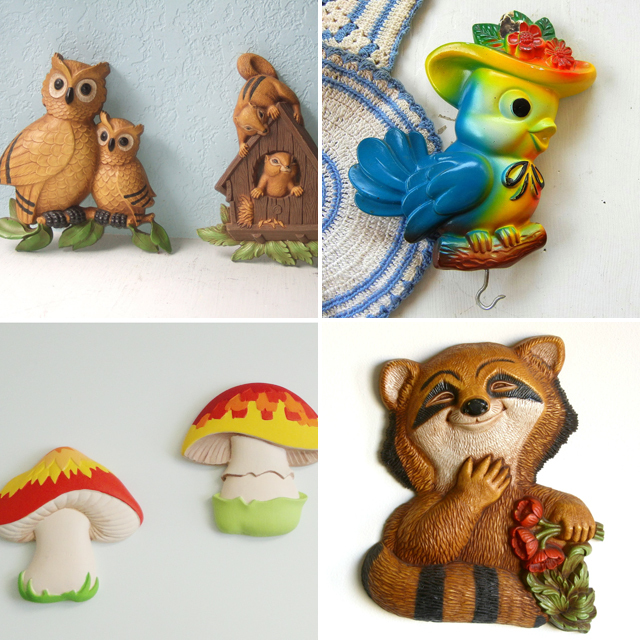 It's pretty ridiculous how much awesome and affordable stuff Rebecca (Kitsch Village owner) has up for sale right now. Go take a look! 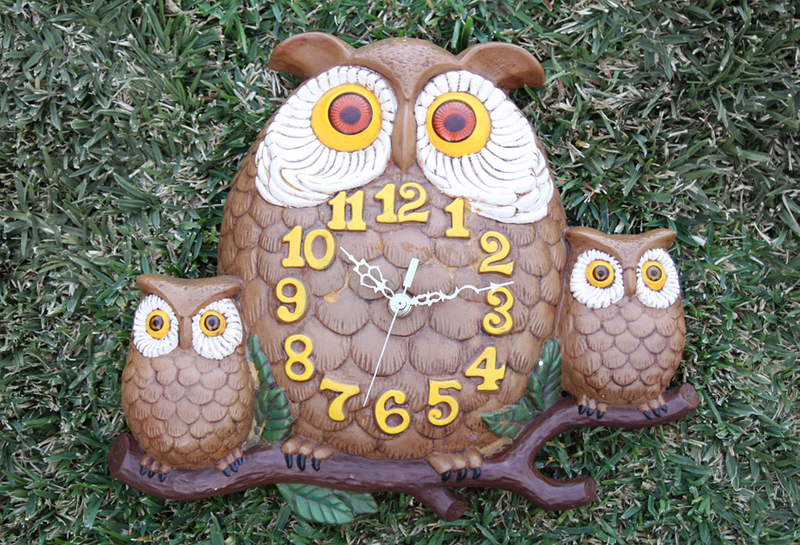 The owl clock was a purchase I made a few months ago when I went to visit my cousin and aunt in Vancouver, Washington. I found it in an adorable little shop called Most Everything. It was one of those, 'if I leave the store without this, I'm going to regret it' purchases. I can't wait to hang it in the new apartment. owl and squirrel set. bluebird chalkware plaque. refashioned chalkware mushroom set. Homco raccoon. The owl clock is sooo cute! 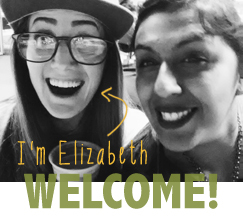 Thanks for the mention, Elizabeth! I loooove your collection of wall hangings. It's totally up my alley. 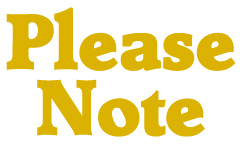 Okay, I'm bookmarking your blog now. <3! That owl clock is gorgeous! ok, the owl clock is cute. still in love with that owl clock!! i regret not buying it when i saw it in lb..